The year is 2089 and the Cold War is raging. Berlin still has a wall splitting it down the middle. Time travel is a key element in the war between east and west. And a nuclear strike threatens to destroy us all. 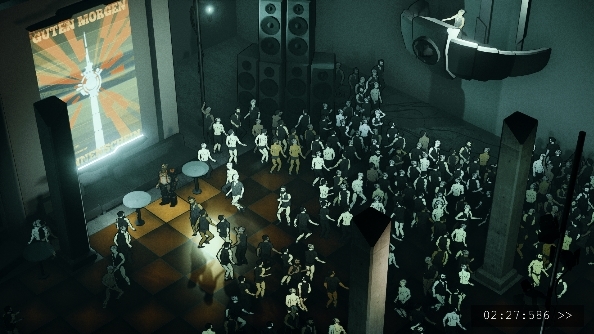 Welcome to All Walls Must Fall, an isometric tactics game coming from developers who once bought us Spec Ops: The Line. Love small developers? Try one of the best indie games on PC. Last we saw inbetweengames they’d bought cave paintings alive with The Mammoth. All Walls Must Fall is their bigger second project, and aims to both tell a story that the player can manipulate, as well as offer great tactical combat and represent their home city of Berlin. 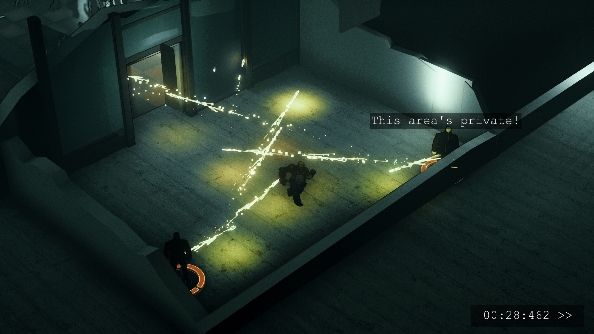 An isometric game with a pausable tactics-driven combat system, All Walls Must Fall also looks at the many other ways wars are fought: notably with words. Social stealth is due to take a prime position in the game, and your decisions based on the intelligence you learn can shift the war in various directions. The game all take place during a single night, but time travel allows you to loop back and forth through events as you seek to stop both sides of the country and a third rebel force annihilating each other entirely. With the Spec Ops developers behind it, expect a game with something profound to say about warfare, as well as the human condition. Oh, and they promise that your combat actions will match the beat of the game’s music, so if thundering tunes are more you thing rather than depressing visions of the future, you’re covered too. Alas that’s all we know, for now. All Walls Must Fall is due to come to Steam Early Access in the fall, but expect to see more information become available on the game’s website as we approach that date.